It was a masterwork in the making that suddenly became the Rip Van Winkle of records. That project was Beach Boy Brian Wilson's 1967 composition "Smile" which was finally released just a few years ago. Given the global economy of late, It's not surprising that car shows have endeared a similar soporific stage. With the auto industry riding a strong wave of creativity and sales throughout the decade, suddenly the 2008 economic meltdown shook the industry to the core -- ... See More something that not even auto shows could avoid. Iconic showcases like the North American International Auto Show became mere shadows of what they were just a few years earlier. While some manufacturers offered striped down exhibits, others didn't show up at all. But fast forward three years to the 2012 show where the NAIAS is once again at the top of its game and "Smile" is what manufacturers and the world press were doing as they viewed all the new product. 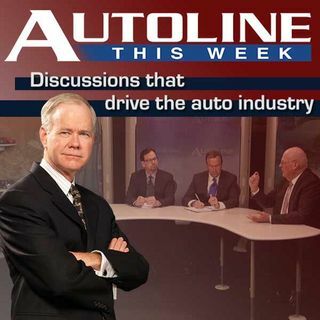 Joining John McElroy on Autoline This Week from the floor of the 2012 Detroit Auto Show are five auto executives who are all smiles indeed. John Maloney is the CEO of Volvo of North America, Klaus Busse the Head of Interior Design at Chrysler, Fred Diaz is the president and CEO of RAM Brand, Ludwig Willisch is the new president of BMW North America, and Max Wolff the Director of Design at Lincoln.